This Eastern Panels Three Door Venetian Sideboard is a charming piece worthy of any stylish home. 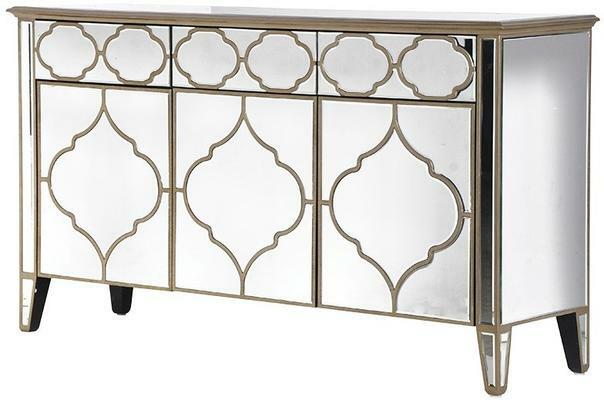 Crafted by hand by skilled artisans, it uses a combination of MDF and mirrored glass. MDF is a great materials that's known to be the best material for mirrored furniture. The sideboard features a smooth top surface which can be used for displaying vases and lamps. Three Venetian styled doors decorate the front, giving the piece a luxurious and stylish appeal. 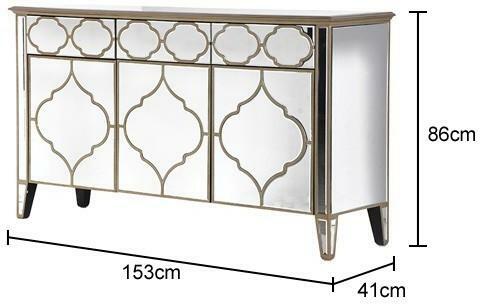 Use this in your living room or bedroom as a functional statement piece. It's quite a beauty to have.